Dr. Weeks’ Comment: The heart needs magnesium – in a bioavailable form such as chelated – as well as Co Q 10 and Selenium – acetyl-l-carnitine helps as does an anti-inflammatory diet and alkalinizing greens . Here Dr. Dachs offers a superb article clarifying how correcting the cardiac imbalances can effect a cure! This looked like a good case for a trial of CoQ-10, a cardiac supplement made popular by Stephen T. Sinatra’s 1999 book, CoQ10 and the Heart. Stephen T. Sinatra’s later wrote, Metabolic Cardiology, about the combination of Co-Q10, D-Ribose and L-Carnitine. The daughter gave her dad the CoQ-10 by “sneaking” it into his food. She opened the CoQ10 capsules and mixed it into her dad’s food, 300 mg per day. Three weeks later her dad was well enough to leave the hospital and go home, an obvious case of success with CoQ-10. What Causes Cardiomyopathy? We Don’t Know. However, I would disagree with this statement, and suggest there exists abundant information in the mainstream literature as to the etiology and pathophysiology of idiopathic dilated cardiomyopathy. Unfortunately, conventional cardiology has no effective anti-viral drugs for Coxsackie B virus. On the other hand, the plant world has evolved a number of effective anti-viral plant substances. Licorice, Curcumin, Chinese Skullcap (Oroxylyn A) are a few anti-viral botanicals studied and found effective against Coxsackie B virus. (61-64) These are available at the dispensaries listed in my previous article, Antiviral Herbals. Summary: The good news is that most cases of idiopathic dilated cardiomyopathy are reversible with a nutritional supplement program including selenium and CoQ10. Some cases require medical treatment with beta blockers or thyroid hormone. Eventually, many cardiomyopathy patients will show improvement in Ejection Fraction and resolution of symptoms. 1) Healing Cardiomyopathy from virus selenium deficiency, Coq10-d Ribose L carnitine voids Heart Transplant by Using Ortho! 2) Frustaci, Andrea, et al. “Marked elevation of myocardial trace elements in idiopathic dilated cardiomyopathy compared with secondary cardiac dysfunction.” Journal of the American College of Cardiology 33.6 (1999): 1578-1583. BACKGROUND: Both myocardial TE accumulation and deficiency have been associated with the development of heart failure indistinguishable from an idiopathic dilated cardiomyopathy. METHODS: Myocardial and muscular content of 32 TE has been assessed in biopsy samples of 13 patients (pts) with clinical, hemodynamic and histologic diagnosis of idiopathic dilated cardiomyopathy (IDCM), all without past or current exposure to TE. One muscular and one left ventricular (LV) endomyocardial specimen from each patient, drawn with metal contamination-free technique, were analyzed by neutron activation analysis and compared with 1) similar surgical samples from patients with valvular (12 pts) and ischemic (13 pts) heart disease comparable for age and degree of LV dysfunction; 2) papillary and skeletal muscle surgical biopsies from 10 pts with mitral stenosis and normal LV function, and 3) LV endomyocardial biopsies from four normal subjects. 3) Lorscheider, Fritz, and Murray Vimy. “Mercury and idiopathic dilated cardiomyopathy.” Journal of the American College of Cardiology 35.3 (2000): 819. 5) Merlo, Marco, et al. “Persistent recovery of normal left ventricular function and dimension in idiopathic dilated cardiomyopathy during long‐term follow‐up: does real healing exist?.” Journal of the American Heart Association 4.1 (2015): e001504. 6) Merlo, Marco, et al. “Clinical management of dilated cardiomyopathy: current knowledge and future perspectives.” (2016): 137-140. Dilated cardiomyopathy (DCM) is a primary heart muscle disease characterized by a progressive dilation and dysfunction of either the left or both ventricles. The management of DCM is currently challenging for clinicians. The persistent lack of knowledge about the etiology and pathophysiology of this disease continues to determine important fields of uncertainty in managing this condition. Molecular cardiology and genetics currently represent the most crucial horizon of increasing knowledge. Understanding the mechanisms underlying the disease allows clinicians to treat this disease more effectively and to further improve outcomes of DCM patients through advancements in etiologic characterization, prognostic stratification and individualized therapy. Left ventricular reverse remodeling predicts a lower rate of major cardiac adverse events independently from other factors. Optimized medical treatment and device implantation are pivotal in inducing left ventricular reverse remodeling. Newly identified targets, such as angiotensin-neprilysin inhibition, phosphodiesterase inhibition and calcium sensitizing are important in improving prognosis in patients affected by DCM. A reversible Se- and Zn-deficient cardiomyopathy may occur in patients with intestinal malabsorption. 7) Frustaci, Andrea, et al. “Selenium‐and zinc‐deficient cardiomyopathy in human intestinal malabsorption: preliminary results of selenium/zinc infusion.” European journal of heart failure 14.2 (2012): 202-210. Patients with intestinal malabsorption may develop cardiac dysfunction the origin of which is often unclear. We sought to investigate the pathogenesis of dilated cardiomyopathy in human malabsorption. METHODS AND RESULTS: Eighteen patients with intestinal bypass as treatment for severe obesity and cardiomyopathy underwent endomyocardial biopsy. Biopsies were processed by histology, electron microscopy, polymerase chain reaction (PCR) for cardiotropic viruses, instrumental neutron activation analysis (INAA) of 33 myocardial trace elements, and assessment of glutathione peroxidase (GPX) activity and LC3-II expression. Histology and electron microscopy showed hypertrophy/degeneration of cardiomyocytes with pronounced cell autophagy and high expression of LC3-II. PCR was negative for viral genomes. INAA showed severe myocardial selenium (Se) and zinc (Zn) deficiency and reduced GPX activity vs. both patients with idiopathic dilated cardiomyopathy and normal controls. Se and Zn were added to antifailing heart therapy in 10 patients (group A1) agreeing to a control biopsy, and the response was compared with that of 8 patients (group A2) on supportive therapy alone. After 6 months, myocardial normalization of Se, Zn, LC3-II, and GPX in group A1 was associated with recovery of cardiomyocyte degeneration and autophagy, and significant improvement in cardiac dimension and function, that remained unchanged in group A2. CONCLUSION: A reversible Se- and Zn-deficient cardiomyopathy may occur in patients with intestinal malabsorption. It is characterized by decline of myocardial antioxidant reserve, oxidative damage of cell membranes, and enhanced cell autophagy. 8) Frustaci, Andrea, Matteo Antonio Russo, and Cristina Chimenti. “Diagnostic contribution of left ventricular endomyocardial biopsy in patients with clinical phenotype of hypertrophic cardiomyopathy.” Human pathology 44.1 (2013): 133-141. Hypertrophic cardiomyopathy phenotype is shared by heterogeneous entities. The purpose of the study was to evaluate the diagnostic role of left ventricular endomyocardial biopsy. One hundred fifty-one consecutive patients with unexplained left ventricular hypertrophy and normal/elevated QRS voltages or left bundle-branch block underwent left ventricular endomyocardial biopsy because of associated left ventricular dysfunction (37%), presence of sporadic form of left ventricular hypertrophy (32%), or patient desire for a definite diagnosis (31%). Biopsy samples were processed for histology and electron microscopy. Blood samples were collected for histologically oriented gene analysis of major sarcomeric (MYH7, MYBPC3, TNNT2, TPM1) and lysosomal (LAMP2, PRKAG2, α-galactosidase A) proteins. Histology showed changes consistent/compatible with hypertrophic cardiomyopathy in 124 patients: myocardial storage disease in 18 due to Fabry disease in 12 and glycogen-storage disease in 6 and myocardial infiltrative disease in 9 because of amyloidosis in 7 and sarcoidosis in 2. Gene analysis was positive in 67% of patients with hypertrophic cardiomyopathy (MYH7 mutation in 36, MYBP in 29, TNNT2 in 14, and TPM1 in 5) and in 83% of patients with lysosomal storage disease (α-galactosidase A mutation in 12, PRKAG2 in 2, and LAMP2 in 1). In patients with hypertrophic cardiomyopathy phenotype, left ventricular endomyocardial biopsy is safe and may recognize infiltrative/storage diseases in up to 18% of evolving and sporadic cases. 9) Nyland, Jennifer F., et al. “Low-Dose Inorganic Mercury Increases Severity and Frequency of Chronic Coxsackievirus-Induced Autoimmune Myocarditis in Mice.” Toxicological Sciences 125.1 (2012): 134. (see below) novel paradigm for the pathogenesis of viral DCM that incorporates trace element imbalance and its interactions with the cellular physiology of viral-induced cardiomyocyte dysfunction. 10) Cooper, Leslie T., Valerie Rader, and Nicholas VC Ralston. “The roles of selenium and mercury in the pathogenesis of viral cardiomyopathy.” Congestive heart failure 13.4 (2007): 193-199. Research on the pathogenesis of nonischemic dilated cardiomyopathy (DCM) has largely been focused on the role of viral pathogens and altered immunity. Trace elements have only rarely been considered; however, clinical observations that trace elements influence cardiovascular disease have been made in populations with extreme dietary deficiency or occupational exposure. Recently, animal models of DCM have been used to explore interactions among trace elements, viral pathogens, and the immune system. Discovery of interactions of trace elements with causes for DCM has heightened awareness of potential contributions of environmental variables to DCM pathogenesis. This article reviews the present knowledge regarding trace elements, in particular selenium and mercury, in the pathogenesis of viral and immune-mediated DCM. Based on recent studies, the authors propose a novel paradigm for the pathogenesis of viral DCM that incorporates trace element imbalance and its interactions with the cellular physiology of viral-induced cardiomyocyte dysfunction. 11) Waagstein, Finn, et al. “Beneficial effects of metoprolol in idiopathic dilated cardiomyopathy.” The Lancet 342.8885 (1993): 1441-1446. 12) Roberts, William C., Robert J. Siegel, and Bruce M. McManus. “Idiopathic dilated cardiomyopathy: analysis of 152 necropsy patients.” American Journal of Cardiology 60.16 (1987): 1340-1355. Certain clinical and cardiac necropsy findings are described in 152 patients aged 16 to 78 years (mean 45) with idiopathic dilated cardiomyopathy: 109 (72%) were men and 43 (28%) were women. Compared with the women, the men had a significantly (p less than 0.05) shorter mean duration of chronic congestive heart failure (CHF) (43 vs 69 months), a higher percentage of habitual alcoholism (40 vs 24%) and a higher mean heart weight (632 vs 551 g). The male to female ratio among the 58 known alcoholics was 7.3:1 and among the 70 known nonalcoholics, 1.5:1 (p less than 0.05). The mean duration of clinical evidence of CHF was similar among the known alcoholics and the known non-alcoholics (each 50 months). Of the 152 patients, 148 (97%) had clinical evidence of chronic CHF; in 114 patients it was the initial manifestation of idiopathic dilated cardiomyopathy, and in most it became intractable and caused death. The interval from onset of chronic CHF to death (known in 120 patients) ranged from 1 to 264 months (mean 54). Comparison of the 27 patients surviving greater than 72 months after onset of chronic CHF to the 64 patients surviving less than or equal to 36 months disclosed a significantly higher frequency in the longer survival group of older patients, of women, of habitual alcoholics, of patients with chest pain syndromes, diabetes mellitus, pulmonary emboli, of patients treated with warfarin and of patients with larger hearts at necropsy. Each of the 4 patients without chronic CHF died suddenly and sudden death was the initial manifestation of idiopathic dilated cardiomyopathy in them. An additional 33 patients also died suddenly, but each of them previously had had chronic CHF. Of the 79 patients (of the 131 for whom information was available) with either pulmonary or systemic emboli or both, 67 (85%) had either right- or left-sided thrombi or mural endocardial plaques or both, whereas of the 52 patients without emboli, 36 (69%) had intracardiac thrombi or plaques (p less than (0.05). Electrocardiograms in the last 6 months of life in 101 patients disclosed atrial fibrillation in 25; complete left (41 patients) or right (6 patients) bundle branch block or indeterminate intraventricular conduction delay (4 patients) in 51 patients; QRS voltage indicative of ventricular hypertrophy in 44 patients (left ventricular in 39 patients. (ABSTRACT TRUNCATED AT 400 WORDS). 13) Schwaiger, Andrea, et al. “Detection of enteroviral ribonucleic acid in myocardial biopsies from patients with idiopathic dilated cardiomyopathy by polymerase chain reaction.” American heart journal 126.2 (1993): 406-410. Infection by enteroviruses, especially by Coxsackie B viruses, has been incriminated in pathogenesis of dilated cardiomyopathy. We developed polymerase chain reaction tests for the detection of enteroviral and Coxsackie B3 genomes, respectively, in myocardial biopsies obtained from a homogeneous group of 19 patients with idiopathic dilated cardiomyopathy. To determine unambiguously the incidence of enteroviruses and Coxsackie B3 viruses in these patients, we used two primer pairs, one common to all enteroviruses and the other specific for Coxsackie B3 viruses. In six patients of the dilated cardiomyopathy group, enteroviral ribonucleic acid (RNA) could be detected; only one was subspecified as Coxsackie B3 RNA. In contrast, no enteroviral RNA could be detected in a contrast group of 21 patients with other cardiac disorders. These results suggest that enteroviruses other than Coxsackie B3 are causally linked to the pathogenesis of dilated cardiomyopathy. 14) Fujioka, Shigekazu, et al. “Evaluation of viral infection in the myocardium of patients with idiopathic dilated cardiomyopathy.” Journal of the American College of Cardiology 36.6 (2000): 1920-1926. The aim of this study was to evaluate the viral etiology of idiopathic dilated cardiomyopathy (DCM). The demonstration of enteroviral genome in hearts with DCM has reinforced the importance of enteroviruses in the pathogenesis of DCM. However, there is uncertainty about the character and activity of enteroviruses detected in the myocardium. Recently, the association of hepatitis C virus or adenovirus with DCM has been reported. METHODS Myocardial specimens from 26 patients with idiopathic DCM, which were obtained at partial left ventriculectomy (PLV), were examined virologically. Strand-specific detection of enteroviral RNA was performed to differentiate active viral replication from latent persistence. Polymerase chain reaction was used to detect genomic sequences of hepatitis C virus, adenovirus, cytomegalovirus, influenza viruses, mumps virus, herpes simplex viruses, varicella-zoster virus and Epstein-Barr virus. RESULTS Plus-strand enteroviral RNA was detected in 9 (35%) of the 26 patients. Minus-strand enteroviral RNA was determined in seven (78%) of these nine plus-strand RNA-positive patients. Sequence analysis revealed that the enteroviruses detected were coxsackie B viruses, such as coxsackievirus B3 and B4. However, genetic material from other viruses was not detected. Six (86%) of seven minus-strand enteroviral RNA-positive patients died of cardiac insufficiency within the first six months after PLV. CONCLUSIONS Coxsackie B viruses were seen in hearts with idiopathic DCM.Active viral RNA replication appeared to be present in a significant proportion of these cases. Minus-strand coxsackieviral RNA in the myocardium can be a marker for poor clinical outcome after PLV. There was no evidence of persistent infection by other viruses in hearts with DCM. 15) Chapman, N. M., and K-S. Kim. “Persistent coxsackievirus infection: enterovirus persistence in chronic myocarditis and dilated cardiomyopathy.” Group B Coxsackieviruses. Springer, Berlin, Heidelberg, 2008. 275-292. 16) Calabrese, Fiorella, et al. “Molecular diagnosis of myocarditis and dilated cardiomyopathy in children: clinicopathologic features and prognostic implications.” Diagnostic Molecular Pathology 11.4 (2002): 212-221. 17) Maisch, Bernhard, et al. “Human viral cardiomyopathy.” Front Biosci 8.suppl (2003): s39-s67. 18) Zimmermann, Oliver, et al. “Myocardial biopsy based classification and treatment in patients with dilated cardiomyopathy.” International journal of cardiology 104.1 (2005): 92-100. 19) Fujioka, Shigekazu, et al. “Evidence of viral infection in the myocardium of American and Japanese patients with idiopathic dilated cardiomyopathy.” The American journal of cardiology 94.5 (2004): 602-605. 20) Kühl, Uwe, et al. “Interferon-β treatment eliminates cardiotropic viruses and improves left ventricular function in patients with myocardial persistence of viral genomes and left ventricular dysfunction.” Circulation 107.22 (2003): 2793-2798. 21) Mason, Jay W. “Myocarditis and dilated cardiomyopathy: an inflammatory link.” Cardiovascular research 60.1 (2003): 5-10. 22) Calabrese, Fiorella, and Gaetano Thiene. “Myocarditis and inflammatory cardiomyopathy: microbiological and molecular biological aspects.” Cardiovascular research 60.1 (2003): 11-25. 23) Triantafilou, Kathy, et al. “Human cardiac inflammatory responses triggered by Coxsackie B viruses are mainly Toll‐like receptor (TLR) 8‐dependent.” Cellular microbiology 7.8 (2005): 1117-1126. 24) Maisch, Bernhard, et al. “Inflammatory dilated cardiomyopathy (DCMI).” Herz Kardiovaskuläre Erkrankungen 30.6 (2005): 535-544. 25) Mahfoud, Felix, et al. “Virus serology in patients with suspected myocarditis: utility or futility?.” European heart journal 32.7 (2011): 897-903. 26) Manzoli, U., et al. “Coenzyme Q10 in dilated cardiomyopathy.” International journal of tissue reactions 12.3 (1990): 173-178. The authors have tried to study the therapeutic efficacy of coenzyme Q10 (CoQ10) in patients with dilated cardiomyopathy (DCM). In fact, CoQ10 has been shown to be deficient in myocardial tissue biopsies taken from DCM hearts, compared to normal hearts. Thirty patients with histological diagnosis of DCM were orally treated with CoQ10 (100 mg/die) for 2 months. Before and after treatment a clinical examination with determination of NYHA class and an echocardiographic examination with determination of ejection fraction (EF) and of telediastolic (TDV) and telesystolic (TSV) volumes were performed, and blood was drawn for plasma CoQ10 determination. In seven patients the pretreatment endomyocardial level of CoQ10 was also assayed. Seven patients left the study because of poor therapeutic compliance. In 47% of patients the clinical symptomatology regressed, with improvement of NYHA class. The EF improved from 0.31 +/- 0.09 to 0.37 +/- 0.11 (p less than 0.001). The TDV passed from 262.2 +/- 85 ml to 203.3 +/- 83 ml (p less than 0.05), and the TSV from 166.13 +/- 75 ml to 126.9 +/- 56 ml (ns). The CoQ10 plasmatic levels improved in 95% of the patients: from 0.74 +/- 0.37 micrograms/ml to 2.27 +/- 0.99 micrograms/ml (p +/- 0.0001). The CoQ10 myocardial levels did not show univocal values, but the patients with lower myocardial levels seemed to have a better therapeutic response. These data suggest that the CoQ10 deficiency in DCM may be reversible and that the therapeutic effects depend on the basal plasmatic and myocardial levels. Therapy with coenzyme Q10 may be considered to be an efficacious aid in the traditional treatment of chronic cardiac failure. 27) Langsjoen, P. H., et al. “Pronounced increase of survival of patients with cardiomyopathy when treated with coenzyme Q10 and conventional therapy.” International journal of tissue reactions 12.3 (1990): 163-168. During 1982-86, 43/137 patients with cardiomyopathy, Classes II, III and IV, had ejection fractions (EF) below 40%, and a mean EF of 25.1 +/- 10.3%. During treatment of these 43 patients with coenzyme Q10 (CoQ10), EF increased to 41.6 +/- 14.3% (p less than 0.001) over a mean period of 3 months (range, 2-4 months). At four subsequent periods up to 36 months. EF ranged from 43.1 +/- 13.3 to 49.7 +/- 6.4% (each period, p less than 0.001). The mean CoQ10 control blood level was 0.85 +/- 0.26 micrograms/ml which increased on treatment to 1.7 to 2.3 micrograms/ml for five periods up to 36 months (each period, p less than 0.001). The survival rates for all 137 patients treated with CoQ10 and for the 43 patients with EF below 40% were both about 75%/46 months. These two survival rates were comparable between 24 and 46 months, which is of extraordinary significance and importance when compared to survival of about 25%/36 months for 182 patients with EF below 46% on conventional therapy without CoQ10. The improved cardiac function and pronounced increase of survival show that therapy with CoQ10 is remarkably beneficial due to correction of CoQ10 deficiency in mechanisms of bioenergetics. 28) Folkers, Karl, Peter Langsjoen, and Per H. Langsjoen. “Therapy with coenzyme Q10 of patients in heart failure who are eligible or ineligible for a transplant.” Biochemical and biophysical research communications 182.1 (1992): 247-253. Twenty years of international open and seven double blind trials established the efficacy and safety of coenzyme Q10 (CoQ10) to treat patients in heart failure. In the U.S., ca. 20,000 patients under 65 years are eligible for transplants, but donors are less than 1/10th of those eligible, and there are many more such patients over 65, both eligible and ineligible. We treated eleven exemplary transplant candidates with CoQ10; all improved; three improved from Class IV to Class I; four improved from Classes III-IV to Class II; and two improved from Class III to Class I or II. After CoQ10, some patients required no conventional drugs and had no limitation in lifestyle. The marked improvement is based upon correcting myocardial deficiencies of CoQ10 which improve mitochondrial bioenergetics and cardiac performance. These case histories, and very substantial background proof of efficacy and safety, justify treating with CoQ10 patients in failure awaiting transplantation. 28) Soni, Abhishek, et al. “Coenzyme Q10 therapy in current clinical practice.” International Journal of Research in Medical Sciences 3.4 (2017): 817-825. 29) Sharma, Abhinav, et al. “Coenzyme Q10 and heart failure: a state-of-the-art review.” Circulation: Heart Failure 9.4 (2016): e002639. 30) Maladkar, Manish, Shrikant Patil, and Suvarcha Sood. “Coenzyme Q10: The Cardiac Bio-energizer in Cardiovascular Diseases.” Cardiovasc Ther 1.2 (2016): 555560. 31) Alehagen, Urban, et al. “Significant changes in circulating microRNA by dietary supplementation of selenium and coenzyme Q10 in healthy elderly males. A subgroup analysis of a prospective randomized double-blind placebo-controlled trial among elderly Swedish citizens.” PloS one 12.4 (2017): e0174880. Thus, the changed expression of the different microRNAs observed after supplementation with selenium and coenzyme Q10 may protect against cardiovascular disease as well as cancer. 32) Fan, Li, et al. “Effects of coenzyme Q10 supplementation on inflammatory markers: a systematic review and meta-analysis of randomized controlled trials.” Pharmacological research 119 (2017): 128-136. In conclusion, this meta-analysis of RCTs suggests significant lowering effects of CoQ10 on CRP, IL-6 and TNF-α. 33) Hernández-Camacho, Juan D., et al. “Coenzyme Q10 Supplementation in Aging and Disease.” Frontiers in Physiology 9 (2018). Coenzyme Q (CoQ) is an essential component of the mitochondrial electron transport chain and an antioxidant in plasma membranes and lipoproteins. It is endogenously produced in all cells by a highly regulated pathway that involves a mitochondrial multiprotein complex. Defects in either the structural and/or regulatory components of CoQ complex or in non-CoQ biosynthetic mitochondrial proteins can result in a decrease in CoQ concentration and/or an increase in oxidative stress. Besides CoQ10 deficiency syndrome and aging, there are chronic diseases in which lower levels of CoQ10 are detected in tissues and organs providing the hypothesis that CoQ10 supplementation could alleviate aging symptoms and/or retard the onset of these diseases. Here, we review the current knowledge of CoQ10 biosynthesis and primary CoQ10 deficiency syndrome, and have collected published results from clinical trials based on CoQ10 supplementation. There is evidence that supplementation positively affects mitochondrial deficiency syndrome and the symptoms of aging based mainly on improvements in bioenergetics. Cardiovascular disease and inflammation are alleviated by the antioxidant effect of CoQ10. There is a need for further studies and clinical trials involving a greater number of participants undergoing longer treatments in order to assess the benefits of CoQ10 treatment in metabolic syndrome and diabetes, neurodegenerative disorders, kidney diseases, and human fertility. Older individuals given a combination of selenium and CoQ10 over a 4-year period reported an improvement in vitality, physical performance, and quality of life (Johansson et al., 2015). With regards to safety, the highest dose for CoQ10 supplementation is 1200 mg daily according to well-designed randomized, controlled human trials, although doses as high as 3000 mg/day have been used in shorter clinical trials (Hathcock and Shao, 2006). CoQ is generally safe and well-tolerated in treating patients suffering from early-stage Huntington disease with 2400 mg/day of CoQ10 (McGarry et al., 2017). Short-term daily treatment (12 weeks or less) with 100 mg CoQ10 improves left ventricular ejection fraction in patients suffering from heart failure (Fotino et al., 2013). A study on the effects of long-term treatment with CoQ10 (200 mg/day) plus selenium (200 μg as selenized yeast) in a homogeneous Swedish healthy elderly population (n = 219) revealed a significant reduction in cardiovascular mortality not only during the 4-year treatment period, but also 10 years later, compared to those taking either a placebo (n = 222) or were without treatment (n = 227) (Alehagen et al., 2015, 2016). 34) Emami, Ali, et al. “The effect of short-term coenzyme Q 10 supplementation and pre-cooling strategy on cardiac damage markers in elite swimmers.” British Journal of Nutrition 119.4 (2018): 381-390. Consequently, CoQ10 supplementation prevents adverse changes of myocardial damage and oxidative stress during swimming competition phase. 36) Burke, Michael Philip, and Kenneth Opeskin. “Fulminant heart failure due to selenium deficiency cardiomyopathy (Keshan disease).” Medicine, science and the law 42.1 (2002): 10-13. Selenium deficiency is a rare cause of cardiomyopathy that may be encountered by the forensic pathologist. Selenium deficiency is associated with a cardiomyopathy, myopathy and osteoarthropathy. In Asia and Africa, dietary selenium deficiency is associated with a cardiomyopathy known as Keshan disease and an osteoarthropathy called Kashin-Beck disease. Chronic selenium deficiency may also occur in individuals with malabsorption and long term selenium-deficient parenteral nutrition. Selenium deficiency causes myopathy as a result of the depletion of selenium-associated enzymes which protect cell membranes from damage by free radicals. We present a case of fulminant heart failure in a middle aged woman with a complex medical and surgical history including documented malabsorption and selenium deficiency. Pathological examination of the heart showed features consistent with Keshan disease. 37) Li, Guangsheng, et al. “Keshan disease: an endemic cardiomyopathy in China.” Human pathology 16.6 (1985): 602-609. 38) Marinescu, Victor, and Peter A. McCullough. “Nutritional and micronutrient determinants of idiopathic dilated cardiomyopathy: diagnostic and therapeutic implications.” Expert review of cardiovascular therapy 9.9 (2011): 1161-1170. Idiopathic dilated cardiomyopathy (IDCM) is the term used to describe a group of myocardial diseases of unknown cause whose common clinical presentation is heart failure. The prevalence of IDCM is estimated to be between 7 and 13% of patients with systolic heart failure. Throughout medical history, several nutrient-deficient states have been identified as the root cause of IDCMs, Keshan’s disease being one such example, where selenium deficiency-induced heart failure is now well documented. This raises the question of whether a micro- or macro-nutrient imbalance can provide the milieu for inefficient energy expenditure and cardiac metabolism in the context of IDCMs, either causing or exacerbating the condition. To date, there is insufficient evidence in the literature to support this theory, although numerous studies suggest a link between nutrient deficiencies, inefficient energy expenditure and subsequent heart failure. Given the unique metabolic needs of the failing heart, the role of micronutrient testing and supplementation in IDCMs warrants further well-designed studies. 39) Fleming, C. Richard, et al. “Selenium deficiency and fatal cardiomyopathy in a patient on home parenteral nutrition.” Gastroenterology 83.3 (1982): 689-693. 40) Burke, Michael Philip, and Kenneth Opeskin. “Fulminant heart failure due to selenium deficiency cardiomyopathy (Keshan disease).” Medicine, science and the law 42.1 (2002): 10-13. 41) Johnson, Robert Arnold, et al. “An occidental case of cardiomyopathy and selenium deficiency.” New England Journal of Medicine 304.20 (1981): 1210-1212. 42) Yang, F. Y., et al. “Keshan disease–an endemic mitochondrial cardiomyopathy in China.” Journal of trace elements and electrolytes in health and disease 2.3 (1988): 157-163. 43) Boldery, Rachel, et al. “Nutritional deficiency of selenium secondary to weight loss (bariatric) surgery associated with life-threatening cardiomyopathy.” Heart, lung and circulation 16.2 (2007): 123-126. 44) Reeves, William C., et al. “Reversible cardiomyopathy due to selenium deficiency.” Journal of Parenteral and Enteral Nutrition 13.6 (1989): 663-665. Selenium is an essential trace element and a component of glutathione peroxidase, an enzyme that may help to prevent oxidative damage to cells. Selenium deficiency has been linked to the development of Keshan disease, a dilated congestive cardiomyopathy occurring primarily in children living in rural China. Sporadic cases have been reported in the United States in individuals with poor nutritional intake, mostly in individuals on long-term home parenteral nutrition. This report describes a young black woman with Crohn’s disease in whom a congestive cardiomyopathy developed and was subsequently reversed following administration of selenium. 45) Loscalzo, Joseph. “Keshan disease, selenium deficiency, and the selenoproteome.” New England Journal of Medicine 370.18 (2014): 1756-1760. 46) Chen, Jun-Shi. “An original discovery: selenium deficiency and Keshan disease (an endemic heart disease).” Asia Pacific journal of clinical nutrition 21.3 (2012): 320-326. 47) Oropeza-Moe, Marianne, Helene Wisløff, and Aksel Bernhoft. “Selenium deficiency associated porcine and human cardiomyopathies.” Journal of Trace Elements in Medicine and Biology 31 (2015): 148-156. 48) Benstoem, Carina, et al. “Selenium and its supplementation in cardiovascular disease—what do we know?.” Nutrients 7.5 (2015): 3094-3118. 49) Li, Qi, et al. “The prevalence of Keshan disease in China.” International journal of cardiology 168.2 (2013): 1121-1126. 50) McCullough, Peter A., Mohammad Kazem Fallahzadeh, and Refaat M. Hegazi. “Nutritional Deficiencies and Sarcopenia in Heart Failure: A Therapeutic Opportunity to Reduce Hospitalization and Death.” Reviews in cardiovascular medicine (2016). 51) Bonakdar, Robert Alan, and Erminia Guarneri. “Coenzyme Q10.” Am Fam Physician 72.6 (2005): 1065-1070. 52) Kkeveetil, Chandini Valiyakizha, Grace Thomas, and Sam Johnson Udaya Chander. “Role of micronutrients in congestive heart failure: A systematic review of randomized controlled trials.” Tzu Chi Medical Journal 28.4 (2016): 143-150. 53) Sinatra, Stephen T., and Mark C. Houston. Nutritional and integrative strategies in cardiovascular medicine. CRC Press, 2015. 54) Sinatra, Stephen T. The sinatra solution: metabolic cardiology. Basic Health Publications, Inc., 2007. 55) Sinatra, Stephen T. The Coenzyme Q10 and the Heart: A Miracle Nutrient for the Prevention and Successful Treatment of Heart Disease. Keats Pub., 1999. 56) Houston, Mark, et al. “Recent science and clinical application of nutrition to coronary heart disease.” Journal of the American College of Nutrition 37.3 (2018): 169-187. One of the greatest threats to mortality in industrialized societies continues to be coronary heart disease (CHD). Moreover, the ability to decrease the incidence of CHD has reached a limit utilizing traditional diagnostic evaluations and prevention and treatment strategies for the top five cardiovascular risk factors (hypertension, diabetes mellitus, dyslipidemia, obesity, and smoking). It is well known that about 80% of CHD can be prevented with optimal nutrition, coupled with exercise, weight management, mild alcohol intake, and smoking cessation. Among all of these factors, optimal nutrition provides the basic foundation for prevention and treatment of CHD. Numerous prospective nutrition clinical trials have shown dramatic reductions in the incidence of CHD. As nutritional science and nutrigenomics research continues, our ability to adjust the best nutrition with an individualized approach is emerging. This article reviews the role of nutrition in the prevention and treatment of CHD and myocardial infarction (MI). 57) Benstoem, Carina, et al. “Selenium and its supplementation in cardiovascular disease—what do we know?.” Nutrients 7.5 (2015): 3094-3118. 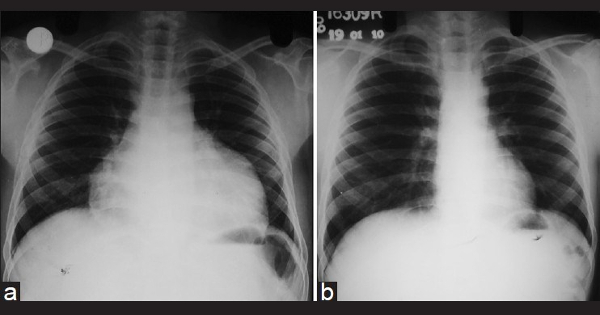 Although selenium deficiency obviously appears to represent the primary pathogenic factor in the development and occurrence of this disease, it was subsequently considered more likely to be a conditional predisposing factor than an etiologic factor for this form of juvenile cardiomyopathy. In this context, previous studies demonstrated that selenium supplementation in deficient mice, reduced the cardiotoxicity of the coxsackie b virus that was previously isolated from patients with Keshan disease. Subsequent studies confirmed these findings and showed an increased susceptibility of mice to the development of viral-induced cardiomyopathy, when fed with a selenium-deficient diet [73,74,75]. 58) Oropeza-Moe, Marianne, Helene Wisløff, and Aksel Bernhoft. “Selenium deficiency associated porcine and human cardiomyopathies.” Journal of Trace Elements in Medicine and Biology 31 (2015): 148-156. Selenium (Se) is a trace element playing an important role in animal and human physiological homeostasis. It is a key component in selenoproteins (SeP) exerting multiple actions on endocrine, immune, inflammatory and reproductive processes. The SeP family of glutathione peroxidases (GSH-Px) inactivates peroxides and thereby maintains physiological muscle function in humans and animals. Animals with high feed conversion efficiency and substantial muscle mass have shown susceptibility to Se deficiency related diseases since nutritional requirements of the organism may not be covered. Mulberry Heart Disease (MHD) in pigs is an important manifestation of Se deficiency often implicating acute heart failure and sudden death without prior clinical signs. Post-mortem findings include hemorrhagic and pale myocardial areas accompanied by fluid accumulation in the pericardial sac and pleural cavity. Challenges in MHD are emerging in various parts of the world. Se is of fundamental importance also to human health. In the 1930s the Se deficiency associated cardiomyopathy named Keshan Disease (KD) was described for the first time in China. Various manifestations, such as cardiogenic shock, enlarged heart, congestive heart failure, and cardiac arrhythmias are common. Multifocal necrosis and fibrous replacement of myocardium are characteristic findings. Pathological findings in MD and KD show striking similarities. 59) Perez, A. L., and W. H. Tang. “Contribution of environmental toxins in the pathogenesis of idiopathic cardiomyopathies.” Current treatment options in cardiovascular medicine 17.5 (2015): 381-381. The pathogenesis of idiopathic cardiomyopathies is likely highly complex and remains elusive. Environmental toxins have been hypothesized to possibly cause a subset of cardiomyopathies. Epidemiological, preclinical, and small clinical studies have investigated the role of numerous elements and compounds in the pathogenesis of these myocardial disorders. In this review, we present the evidence implicating elements and environmental compounds in myocardial toxicity, including antimony, cobalt, mercury, aluminum, copper, and acrolein. We discuss their sources, toxic effects, and epidemiology, as well as identify groups at risk for toxic exposure. Through our discussion, we highlight areas where further investigation into the clinical effects of these possible toxins is warranted. 60) Jan, M. F., and A. J. Tajik. “Modern Imaging Techniques in Cardiomyopathies.” Circulation research 121.7 (2017): 874. 61) Song, Y., et al. “Curcumin protects mice from coxsackievirus B3-induced myocarditis by inhibiting the phosphatidylinositol 3 kinase/Akt/nuclear factor-κB pathway.” Journal of cardiovascular pharmacology and therapeutics 18.6 (2013): 560. Viral myocarditis is an inflammation of the myocardium, and coxsackievirus B3 (CVB3) is one of the most important etiologic agents. Curcumin is an active ingredient of Curcumin longa, which has been used as a traditional Chinese herb for the treatment of various inflammatory diseases. The aim of this study was to explore the therapeutic effect of curcumin on CVB3-induced myocarditis and the underlying mechanism. Our results showed that treatment with curcumin could significantly attenuate CVB3-induced myocarditis, as demonstrated by improved weight loss, increased survival rate, reduced serological level cardiac enzymes, and improved heart histopathology. Of importance, curcumin administration was revealed to significantly reduce the systemic and local myocardial expression of proinflammatory cytokines, such as tumor necrosis factor-α, interleukin (IL) 6, and IL-1β, in the CVB3-infected mice. Further study showed that curcumin treatment significantly inhibited the CVB3-induced activation of nuclear factor-κB (NF-κB), a key transcription factor in the pathogenesis of inflammation, in a phosphatidylinositol 3 kinase (PI3K)/Akt pathway-dependent manner. These data indicate that curcumin has protective effect against CVB3-induced myocarditis by inhibiting PI3K/Akt/NF-κB signaling pathway and thus reducing the inflammatory response. 62) Zhang, Haichen, Yunxiao Song, and Zhichuan Zhang. “Glycyrrhizin administration ameliorates coxsackievirus B3-induced myocarditis in mice.” The American journal of the medical sciences 344.3 (2012): 206-210. In this study, the authors explored the therapeutic effect of glycyrrhizin (GL) on Coxsackievirus B3 (CVB3)-induced myocarditis and its possible mechanisms involved. The results of this study showed that GL exhibited a profound amelioration of CVB3-induced myocarditis, as evidenced by improved weight loss profile, less increased serological levels of cardiac enzymes, less myocardial inflammation and increased survival rate. Further study showed that this effect was not due to the viral clearance but ascribed to weakened proinflammatory responses, as evidenced by significantly reduced expression of proinflammatory cytokines, including tumor necrosis factor-α, interleukin-1β and interleukin-6. Moreover, the authors demonstrated that GL administration inhibited CVB3-induced nuclear factor-κB activity efficiently by blocking the degradation of nuclear factor -κB inhibitor IκBκ. These data suggest that GL can effectively attenuate the severity of CVB3-induced myocarditis and may present as a new therapeutic approach for the treatment of viral myocarditis. 63) Kwon, Bo-Eun, et al. “Antiviral activity of oroxylin A against coxsackievirus B3 alleviates virus-induced acute pancreatic damage in mice.” PloS one 11.5 (2016): e0155784. The flavonoids mosloflavone, oroxylin A, and norwogonin, which were purified from Scutellaria baicalensis Georgi, significantly protected Vero cells against Coxsackievirus B3 (CVB3)-induced cell death. To investigate the in vivo antiviral activity of oroxylin A, we intraperitoneally inoculated CVB3 into 4-week-old BALB/c mice. Body weights and blood glucose levels of the mice were decreased after CVB3 infection, and these changes were attenuated by the administration of oroxylin A. Importantly, treatment of mice with oroxylin A reduced viral titers in the pancreas and decreased the serum levels of the inflammatory cytokines including interleukin-6 (IL-6) and tumor necrosis factor (TNF)-α. Additionally, the administration of oroxylin A mitigated the histological pancreatic lesions and apoptotic cell death induced by CVB3 infection and increased the levels of phospho-eIF2α in infected pancreata. The results suggest that oroxylin A may represent a potent antiviral agent against CVB3 infection. 64) XU, Shan, et al. “Antiviral Effect and Mechanism of Scutellaria Baicalensis Georgi [J].” Chinese Archives of Traditional Chinese Medicine 7 (2007): 019. 65) Massilamany, Chandirasegaran, Arunakumar Gangaplara, and Jay Reddy. “Intricacies of cardiac damage in coxsackievirus B3 infection: implications for therapy.” International journal of cardiology 177.2 (2014): 330-339. Experimentally, myocarditis can be induced in susceptible strains of mice using the human isolates of CVB3, and the disease pathogenesis of postinfectious myocarditis resembles that of human disease, making the observations made in animals relevant to humans. 66) Clin Pharm. 1984 Sep-Oct;3(5):531-5. Selenium deficiency and fatal cardiomyopathy in a patient receiving long-term home parenteral nutrition. Quercia RA, Korn S, O’Neill D, Dougherty JE, Ludwig M, Schweizer R, Sigman R.
Fatal cardiomyopathy in a patient who received home parenteral nutrition (HPN) for eight years is reported, and the relationship of selenium deficiency to cardiomyopathy and other adverse effects is discussed. A 42-year-old white man with Crohn’s disease who was receiving HPN was admitted to the hospital with severe chest pain and dyspnea. During the three days following admission, his symptoms of congestive heart failure and compensated metabolic acidosis persisted despite treatment. On hospital day 6, the patient developed increased ventricular irritability and refractory ventricular fibrillation and died. At autopsy, the heart weighted 500 g, all chambers were dilated, and the myocardium was grossly flabby. Extremely low concentrations of selenium (5-12% of normal) were found in plasma, heart, liver, and kidney tissue samples. The pathological findings in this patient were similar to those in two previously reported cases and strongly suggest that the fatal cardiomyopathy was secondary to selenium deficiency. 67) Boldery, Rachel, et al. “Nutritional deficiency of selenium secondary to weight loss (bariatric) surgery associated with life-threatening cardiomyopathy.” Heart, lung and circulation 16.2 (2007): 123-126. Nutritional deficiencies of vitamins and minerals have been associated with reversible and irreversible cardiomyopathic processes. Selenium deficient dilated cardiomyopathy, first described in 1935 in the Keshan Province of China, was sometimes reversed with selenium supplementation. In the past three decades, selenium deficient cardiomyopathy has re-emerged in western medicine secondary to gastrointestinal disorders, long-term total parenteral nutrition (TPN) and gastrointestinal surgery. This report describes a case of selenium deficient cardiomyopathy secondary to the bariatric (weight loss) surgical operation bilio-pancreatic diversion (Scopinaro procedure). This patient presented with life-threatening heart failure nine months after this surgery, having lost 100 kg of body weight. Multiple nutritional deficiencies were detected and corrected including severely depleted selenium levels. Cardiac function and the clinical scenario improved dramatically over three weeks. Screening patients at risk of malnourishment for selenium deficiency as a potential cause of cardiomyopathy is indicated. 68) Massoure, P. L., et al. “Bilateral leg oedema after bariatric surgery: A selenium-deficient cardiomyopathy.” Obesity research & clinical practice 11.5 (2017): 622. This report describes a case of selenium-deficient cardiomyopathy secondary to bariatric surgery (Roux-en-Y gastric bypass surgery). A 40 year-old woman presented with bilateral leg oedema nine months after the surgical procedure. Timely diagnosis of selenium-deficient cardiomyopathy was due to the recognition of symptoms of heart failure, increased NT pro-BNP level, detection of myocardial diastolic dysfunction and impaired left ventricular global longitudinal strain by echocardiography, and early identification of selenium deficiency. Symptoms resolution, cardiac biomarkers and echocardiographic abnormalities normalization were observed after 3 months of oral selenium supplementation and conventional heart failure therapy. Any sign of heart failure after bariatric surgery should require screening for a nutrient-deficient cardiomyopathy. 69) Saliba, W., R. El Fakih, and W. Shaheen. “Heart failure secondary to selenium deficiency, reversible after supplementation.” International journal of cardiology 141.2 (2010): e26-e27. Selenium deficiency induced heart failure is a well known disease. The first reported cases were back in 1937 during an epidemic in some rural areas of China (Keshan Disease). It is a potentially fatal disease if untreated. Early diagnosis and treatment is essential since supplementation may reverse the outcome. Patients with non ischemic heart failure deserve a serum selenium level measurement as a part of their work up. We report a case of selenium deficiency induced heart failure reversed after treatment with selenium. 71) Khochtali, I., et al. “Reversible dilated cardiomyopathy caused by hypothyroidism.” International archives of medicine 4.1 (2011): 20. The association between lack of thyroid hormones and cardiac dysfunction has been well described. We report two new cases of patients with dilated cardiomyopathy (DCM), revealing a periphery hypothyroidism and for whom cardiac function significantly improved after L thyroxin substitutive treatment. Our cases highlight the necessity to perform thyroid function testing to investigate the etiology of non ischemic DCM. 72) Seol, Myung Do, et al. “Dilated cardiomyopathy secondary to hypothyroidism: case report with a review of literatures.” Journal of cardiovascular ultrasound 22.1 (2014): 32-35. To date, it has been well documented that there is a relationship between alterations in thyroid hormones and cardiac dysfunction. We experienced a case of a 36-year-old man with dilated cardiomyopathy (DCM) accompanied by undiagnosed primary hypothyroidism. In the current case, there was a significant improvement in the cardiac function following heart failure management and thyroid hormone replacement. Our case highlights that clinicians should consider the possibility of hypothyroidism as a cause of DCM. Roberto, E. Samuel, et al. “Differential reversibility in heart failure due to hypothyroidism: A series of contrasting cases with review of literature.” International Journal of Case Reports and Images (IJCRI) 7.1 (2016): 1-6. This prospective randomized controlled trial evaluated the effect of combined oral coenzyme Q10 (CoQ10) and clomiphene citrate for ovulation induction in clomiphene-citrate-resistant polycystic ovary syndrome (PCOS). A total of 101 infertile women with PCOS resistant to clomiphene citrate were randomized either to combined CoQ10 and clomiphene citrate (51 patients, 82 cycles) or to clomiphene citrate alone (50 patients, 71 cycles). The outcome measures were number of follicles, serum oestradiol, serum progesterone, endometrial thickness and ovulation, clinical pregnancy and miscarriage rates. Numbers of follicles >14 mm and ≥18 mm were significantly higher in the CoQ10 group. Endometrial thickness on the day of human chorionic gonadotrophin was significantly greater in the CoQ10 group (8.82 ± 0.27 mm versus 7.03 ± 0.74 mm). Ovulation occurred in 54/82 cycles (65.9%) in the CoQ10 group and 11/71 cycles (15.5%) in the control group. Clinical pregnancy rate was significantly higher in the CoQ10 group (19/51, 37.3%) versus the control group (3/50, 6.0%). Combination of CoQ10 and clomiphene citrate in the treatment of clomiphene-citrate-resistant PCOS patients improves ovulation and clinical pregnancy rates. It is an effective and safe option and can be considered before gonadotrophin therapy or laparoscopic ovarian drilling. 75) Xu, Yangying, et al. “Pretreatment with coenzyme Q10 improves ovarian response and embryo quality in low-prognosis young women with decreased ovarian reserve: a randomized controlled trial.” Reproductive Biology and Endocrinology 16.1 (2018): 29. Management of women with reduced ovarian reserve or poor ovarian response (POR) to stimulation is one of the major challenges in reproductive medicine. The primary causes of POR remain elusive and oxidative stress was proposed as one of the important contributors. It has been suggested that focus on the specific subpopulations within heterogeneous group of poor responders could assist in evaluating optimal management strategies for these patients. This study investigated the effect of anti-oxidant treatment with coenzyme Q10 (CoQ10) on ovarian response and embryo quality in young low-prognosis patients with POR. Methods This prospective, randomized controlled study included 186 consecutive patients with POR stratified according to the POSEIDON classification group 3 (age < 35, poor ovarian reserve parameters). The participants were randomized to the CoQ10 pre-treatment for 60 days preceding IVF-ICSI cycle or no pre-treatment. The number of high quality embryos was a primary outcome measure. A total of 169 participants were evaluated (76 treated with CoQ10 and 93 controls); 17 women were excluded due to low compliance with CoQ10 administration. The baseline demographic and clinical characteristics were comparable between the groups. CoQ10 pretreatment resulted in significantly lower gonadotrophin requirements and higher peak E2 levels. Women in CoQ10 group had increased number of retrieved oocytes (4, IQR 2–5), higher fertilization rate (67.49%) and more high-quality embryos (1, IQR 0–2); p < 0.05. Significantly less women treated with CoQ10 had cancelled embryo transfer because of poor embryo development than controls (8.33% vs. 22.89%, p = 0.04) and more women from treatment group had available cryopreserved embryos (18.42% vs. 4.3%, p = 0.012). The clinical pregnancy and live birth rates per embryo transfer and per one complete stimulation cycle tended to be higher in CoQ10 group but did not achieve statistical significance. Conclusion: Pretreatment with CoQ10 improves ovarian response to stimulation and embryological parameters in young women with poor ovarian reserve in IVF-ICSI cycles. Further work is required to determine whether there is an effect on clinical treatment endpoints. 76) Ben-Meir, Assaf, et al. “Coenzyme Q10 restores oocyte mitochondrial function and fertility during reproductive aging.” Aging Cell 14.5 (2015): 887. Female reproductive capacity declines dramatically in the fourth decade of life as a result of an age-related decrease in oocyte quality and quantity. The primary causes of reproductive aging and the molecular factors responsible for decreased oocyte quality remain elusive. Here, we show that aging of the female germ line is accompanied by mitochondrial dysfunction associated with decreased oxidative phosphorylation and reduced Adenosine tri-phosphate (ATP) level. Diminished expression of the enzymes responsible for CoQ production, Pdss2 and Coq6, was observed in oocytes of older females in both mouse and human. The age-related decline in oocyte quality and quantity could be reversed by the administration of CoQ10. Oocyte-specific disruption of Pdss2 recapitulated many of the mitochondrial and reproductive phenotypes observed in the old females including reduced ATP production and increased meiotic spindle abnormalities, resulting in infertility. Ovarian reserve in the oocyte-specific Pdss2-deficient animals was diminished, leading to premature ovarian failure which could be prevented by maternal dietary administration of CoQ10. We conclude that impaired mitochondrial performance created by suboptimal CoQ10 availability can drive age-associated oocyte deficits causing infertility. 77) Bentov, Yaakov, et al. “Coenzyme Q10 Supplementation and Oocyte Aneuploidy in Women Undergoing IVF–ICSI Treatment.” Clinical Medicine Insights. Reproductive Health 8 (2014): 31. 78) Gat, Itai, et al. “The use of coenzyme Q10 and DHEA during IUI and IVF cycles in patients with decreased ovarian reserve.” Gynecological Endocrinology 32.7 (2016): 534-537. The objective of this study is to compare the combination of dehydroepiandrosterone (DHEA) and coenzyme Q10 (CoQ10) (D + C) with DHEA alone (D) in intrauterine insemination (IUI) and in vitro fertilization (IVF) cycles among patients with decreased ovarian reserve. METHODS: We retrospectively extracted data from patients charts treated by DHEA with/without CoQ10 during IUI or IVF between February 2006 and June 2014. Prestimulation parameters included age, BMI, day 3 FSH and antral follicular count (AFC). Ovarian response parameters included total gonadotropins dosage, peak serum estradiol, number of follicles > 16 mm and fertilization rate. Clinical outcomes included clinical and ongoing pregnancy rates. RESULTS: Three hundred and thirty IUI cycles involved D + C compared with 467 cycles of D; 78 IVF cycles involved D + C and 175 D. In both IUI and IVF, AFC was higher with D + C compared with D (7.4 ± 5.7 versus 5.9 ± 4.7, 8.2 ± 6.3 versus 5.2 ± 5, respectively, p < 0.05). D + C resulted in a more follicles > 16 mm during IUI cycles (3.3 ± 2.3 versus 2.9 ± 2.2, respectively, p = 0.01), while lower mean total gonadotropin dosage was administered after D + C supplementation compared with D (3414 ± 1141 IUs versus 3877 ± 1143 IUs respectively, p = 0.032) in IVF cycles. Pregnancy and delivery rates were similar for both IUI and IVF. CONCLUSION: D + C significantly increases AFC and improves ovarian responsiveness during IUI and IVF without a difference in clinical outcome. Orenes-Piñero, Esteban, et al. “A comprehensive insight of novel antioxidant therapies for atrial fibrillation management.” Drug metabolism reviews 47.3 (2015): 388-400. Atrial fibrillation (AF) is the most common arrhythmia in clinical practice and is associated with decreased quality of life, and increased mortality and morbidity from stroke and thromboembolism. The underlying mechanisms involved in the development of AF have yet to be fully elucidated. However, once initiated, AF tends to self-perpetuate, due to structural and electrical remodeling in the atria. Currently, therapies for AF, such as, antiarrhythmic drugs and catheter ablation, have significant limitations. Antiarrhythmic drugs target one or a few cardiomyocyte ion channels and have considerable pro-arrhythmic and non-cardiac adverse effects. On the other hand, catheter ablation is an expensive treatment associated with measurable complications and its long-term success in management of AF is controversial. Current consensus guidelines recommend β-blockers, amiodarone, digitalis glycosides and non-dihydropyridine calcium channel antagonists or a combination of them for AF treatment, but bradycardia and heart block may occur as an unwanted effect. On the other hand, antioxidant agents have recently attracted much interest in AF treatment because they have been associated with a reduction in lone AF and post-operative AF, and in some cases, with a decrease in long-term hospitalization time. Moreover, antioxidants can be considered a cheap treatment with reduced side effects. In this review, we will comprehensively review the effects and the mechanisms of action of several antioxidant agents, such as vitamin E, ascorbic acid, carotenoids, statins, omega-3 polyunsaturated fatty acids and N-acetylcysteine. 80) Ferro D, Franciosa P, Cangemi R, Carnevale R, Pignatelli P, Loffredo L, et al. Serum levels of vitamin E are associated with early recurrence of atrial fibrillation after electric cardioversion. Circ Arrhythm Electrophysiol. 2012;5:327–333. 81) Cangemi, R., et al. “Cholesterol-adjusted vitamin E serum levels are associated with cardiovascular events in patients with non-valvular atrial fibrillation.” International journal of cardiology 168.4 (2013): 3241. Non-valvular atrial fibrillation is associated with an increase in thromboembolism, i.e. stroke, and atherosclerotic events, i.e. myocardial infarction. Vitamin E possesses anti-coagulant as well as anti-atherosclerotic properties. Our aim was to assess whether vitamin E is associated with cardiovascular events in patients with non-valvular atrial fibrillation. METHODS: Serum levels of cholesterol-adjusted vitamin E were measured in 1012 patients with non-valvular atrial fibrillation. Patients were followed for a mean time of 27.0 months, and cardiovascular events, such as cardiovascular death and fatal and nonfatal stroke or myocardial infarction, were recorded. RESULTS: During the follow-up period, cardiovascular events occurred in 109 (11%) patients (18 fatal and 14 nonfatal myocardial infarction; 13 fatal and 19 nonfatal ischemic strokes; 45 cardiovascular deaths). Lower vitamin E serum levels were found in patients who experienced cardiovascular events compared to those who did not (3.8±1.2 vs. 4.4±1.8 μmol/mmol cholesterol; p<0.001). Using a Cox proportional hazard model, age, diabetes, history of stroke and myocardial infarction and vitamin E serum levels (HR 0.77; 95% CI: 0.67-0.89; p=0.001) independently predicted cardiovascular events. Patients with vitamin E<4.2 μmol/mmol cholesterol (median values) had an increased risk of cardiovascular events (HR 1.87; 95% CI: 1.25-2.80: p=0.002). CONCLUSIONS: Low vitamin E serum levels are associated with an increased risk of cardiovascular events in patients with non-valvular atrial fibrillation. 82) Ferro, Domenico, et al. “Serum levels of vitamin E are associated with early recurrence of atrial fibrillation after electric cardioversion.” Circulation: Arrhythmia and Electrophysiology 5.2 (2012): 327-333. BACKGROUND: Oxidative stress is suggested to play a role in favoring the occurrence of atrial fibrillation (AF). We analyzed whether vitamin E, a known antioxidant, or markers of oxidative stress are associated with AF recurrence in patients undergoing electric cardioversion. METHODS AND RESULTS: A total of 144 patients (83 men; mean age, 71.1±5.4 years) underwent successful biphasic electric cardioversion of nonvalvular persistent AF. At baseline, urinary 8-isoprostaglandin F2α and serum soluble NOX2-derived peptide (sNOX2-dp), high-sensitivity C-reactive protein (hs-CRP), and vitamin E levels were measured in each patient. All patients underwent 3 months of clinical follow-up, including an office visit with ECG every week or in cases of symptom recurrence. During the follow-up, 94 patients maintained sinus rhythm, whereas 50 experienced AF recurrence. In unadjusted analysis, left atrial diameter and levels of urinary isoprostanes and serum sNOX2-dp and hs-CRP were significantly higher and serum vitamin E lower in patients with AF recurrence. In multivariable Cox analysis, serum vitamin E (hazard ratio, 0.734; 95% CI, 0.605-0.891; P<0.001) and, to a lesser extent, hs-CRP (P=0.047) remained significantly associated with AF recurrence. Urinary isoprostanes and serum sNOX2-dp levels were inversely correlated with serum vitamin E level (r=-0.626, P<0.001, and r=-0.460, P<0.001, respectively). CONCLUSIONS: The study shows that low serum vitamin E levels are associated with AF recurrence in patients who underwent cardioversion. Because vitamin E inversely correlated with oxidative stress, the findings reinforce the hypothesis of an interplay between oxidative stress and AF. 83) Hill, Aileen, et al. “Vitamin C to Improve Organ Dysfunction in Cardiac Surgery Patients—Review and Pragmatic Approach.” Nutrients 10.8 (2018). 84) Shi, Rui, et al. “Sole and combined vitamin C supplementation can prevent postoperative atrial fibrillation after cardiac surgery: a systematic review and meta‐analysis of randomized controlled trials.”Clinical cardiology (2018). We undertook a systematic review and meta-analysis to evaluate the effect of vitamin C supplementation (vitamin C solely or as adjunct to other therapy) on prevention of postoperative atrial fibrillation (POAF) in patients after cardiac surgery. PubMed, Embase, Web of Science, and Cochrane Library were systematically searched to identify randomized controlled trials assessing the effect of vitamin C supplementation in adult patients undergoing cardiac surgery, and the meta-analysis was performed with a random-effects model. Thirteen trials involving 1956 patients were included. Pooling estimate showed a significantly reduced incidence of POAF (relative risk [RR]: 0.68, 95% confidence interval [CI]: 0.54 to 0.87, P = 0.002) both in vitamin C alone (RR: 0.75, 95% CI: 0.63 to 0.90, P = 0.002) and as an adjunct to other therapy (RR: 0.32, 95% CI: 0.20 to 0.53, P < 0.001). The results remain stable and robust in subgroup and sensitivity analyses, and trial sequential analysis also confirmed that the evidence was sufficient and conclusive. Additionally, vitamin C could significantly decrease intensive care unit length of stay (weighted mean difference: -0.24 days, 95% CI: -0.45 to -0.03, P = 0.023), hospital length of stay (weighted mean difference: -0.95 days, 95% CI: -1.64 to -0.26, P = 0.007), and risk of adverse events (RR: 0.45, 95% CI: 0.21 to 0.96, P = 0.039). Use of vitamin C alone and as adjunct to other therapy can prevent POAF in patients undergoing cardiac surgery and should be recommended for patients receiving cardiac surgery for prevention of POAF. 85) Hemilä, Harri, and Timo Suonsyrjä. “Vitamin C for preventing atrial fibrillation in high risk patients: a systematic review and meta-analysis.” BMC cardiovascular disorders 17.1 (2017): 49. 86) Polymeropoulos, Evangelos, et al. “Vitamin C for the prevention of postoperative atrial fibrillation after cardiac surgery: a meta-analysis.” Advanced pharmaceutical bulletin 6.2 (2016): 243. Purpose: Several studies have investigated the administration of vitamin C (vitC) for the prevention of postoperative atrial fibrillation (AF) after cardiac surgery. However, their findings were inconsistent. The purpose of this meta-analysis was to evaluate the efficacy of vitC as prophylaxis for the prevention of postoperative AF in cardiac surgery. Methods: A systematic search of PubMed, EMBASE, Google Scholar, the Cochrane Library, and clinical trial registries, was performed. 9 studies, published from August 2001 to May 2015, were included, with a total of 1,037 patients. Patients were randomized to receive vitC, or placebo. Results: Cardiac surgery patients who received vitC as prophylaxis, had a significantly lower incidence of postoperative AF (random effects OR=0.478, 95% CI 0.340 – 0.673, P < 10-4). No significant heterogeneity was detected across the analyzed studies (I2=21.7%), and no publication bias or other small study-related bias was found. Conclusion: Our findings suggest that Vit C is effective as prophylaxis for the prevention of postoperative AF. The administration of vitC may be considered in all patients undergoing cardiac surgery. 87) Wang, Xiaoqin, et al. “Pharmacological interventions for preventing post-operative atrial fibrillation in patients undergoing cardiac surgery: a network meta-analysis protocol.” BMJ Open 7.12 (2017). 88) Holmberg, Mathias J., et al. “Ubiquinol (Reduced Coenzyme Q10) and Cellular Oxygen Consumption in Patients Undergoing Coronary Artery Bypass Grafting.” Journal of intensive care medicine (2018): 0885066618789114. 89) Makhija, Neeti, et al. “The role of oral coenzyme Q10 in patients undergoing coronary artery bypass graft surgery.” Journal of cardiothoracic and vascular anesthesia 22.6 (2008): 832-839. The study group (n = 15) received oral coenzyme Q10, 150 to 180 mg/d, for 7 to 10 days preoperatively, whereas the control group (n = 15) did not receive any antioxidant or placebo. The study group had significantly fewer reperfusion arrhythmias, lower total inotropic requirement, mediastinal drainage, blood product requirement, and shorter hospital stays compared with the control group. 90) de Frutos, Fernando, et al. “Prophylactic treatment with coenzyme Q10 in patients undergoing cardiac surgery: could an antioxidant reduce complications? A systematic review and meta-analysis.” Interactive cardiovascular and thoracic surgery 20.2 (2014): 254-259.
we conclude that CoQ10 should be considered as a prophylactic treatment for preventing complications in patients undergoing cardiac surgery with cardiopulmonary bypass. 91) Zhao, Qingyan, et al. “Effect of coenzyme Q10 on the incidence of atrial fibrillation in patients with heart failure.” Journal of Investigative Medicine 63.5 (2015): 735-739. There is mounting evidence to support the influence of inflammation and oxidative stress in the pathogenesis of atrial fibrillation (AF) and heart failure (HF). The efficacy of coenzymeQ10 (CoQ10), an antioxidant used as an adjunct treatment in patients with AF and HF, remains less well established. METHODS:Consecutive patients with HF were randomized and divided into 2 groups: the CoQ10 group (combined administration of common drugs and CoQ10) and the control group (administration of common drugs). Ambulatory electrocardiogram Holter monitoring (24 hours), Doppler echocardiography, and evaluation of inflammatory cytokines were performed before treatment and 6 and 12 months after treatment. RESULTS: One hundred two patients (72 male and 30 female patients), with ages ranging from 45 to 82 years (mean age, 62.3 years), were examined. There was significant reduction in the level of malondialdehyde (3.9 ± 0.7 vs 2.5 ± 0.6 ng/mL; 3.9 ± 0.7 vs 2.3 ± 0.5 ng/mL, P < 0.05) in the CoQ10 group, whereas there was no significant difference (3.3 ± 0.8 vs 2.9 ± 0.8 ng/mL; 3.3 ± 0.8 vs 2.9 ± 0.5 ng/mL) in the control group after 6 and 12 months. Three patients (6.3%) in the CoQ10 group and 12 patients (22.2%) in the control group had episodes of AF after 12 months’ treatment (P = 0.02). Four patients with AF in the control group went through the third Holter recording. CONCLUSIONS: CoenzymeQ10 as adjuvant treatment in patients with HF may attenuate the incidence of AF. The mechanisms of the effect perhaps have relation with the reduced levels of malondialdehyde. 92) McCarty, Mark F. “Practical prevention of cardiac remodeling and atrial fibrillation with full-spectrum antioxidant therapy and ancillary strategies.” Medical hypotheses 75.2 (2010): 141-147. A wealth of research data points to increased oxidative stress as a key driver of the cardiac remodeling triggered by chronic pressure overload, loss of functional myocardial tissue, or atrial fibrillation. Oxidative stress is a mediator of the cardiomyocyte hypertrophy and apoptosis, the cardiac fibrosis, and the deficits in cardiac function which typify this syndrome, and may play a role in initiating and sustaining atrial fibrillation. Nox2- and Nox4-dependent NADPH oxidase activity appears to be a major source of this oxidative stress, and oxidants can induce conformational changes in xanthine dehydrogenase, nitric oxide synthase, and the mitochondrial respiratory chain which increase their capacity to generate superoxide as well. Consistent with these insights, various synthetic antioxidants have been shown to suppress cardiac remodeling in rodents subjected to myocardial infarction, aortic constriction, or rapid atrial pacing. It may prove feasible to achieve comparable benefits in humans through use of a “full-spectrum antioxidant therapy” (FSAT) that features a complementary array of natural antioxidants. Spirulina is a rich source of phycocyanobilin, a derivative and homolog of biliverdin that appears to mimic the potent inhibitory impact of biliverdin and free bilirubin on NADPH oxidase activity. Mega-doses of folate can markedly increase intracellular levels of tetrahydrofolates which have potent and versatile radical-scavenging activities – including efficient quenching of peroxynitrite-derived radicals Supplemental coenzyme Q10, already shown to improve heart function in clinical congestive failure, can provide important antioxidant protection to mitochondria. Phase 2 inducer nutraceuticals such as lipoic acid, administered in conjunction with N-acetylcysteine, have the potential to blunt the impact of oxidative stress by boosting myocardial levels of glutathione. While taurine can function as an antioxidant for myeloperoxidase-derived radicals, its positive inotropic effect on the failing heart seems more likely to reflect an effect on intracellular calcium dynamics. These measures could aid control of cardiac modeling less directly by lowering elevated blood pressure, or by aiding the perfusion of ischemic cardiac regions through an improvement in coronary endothelial function. Since nitric oxide functions physiologically to oppose cardiomyocyte hypertrophy and cardiac fibrosis, and is also a key regulator of blood pressure and endothelial function, cocoa flavanols – which provoke endothelial release of nitric oxide – might usefully complement the antioxidant measures recommended here.